Len Wallis Audio was given the opportunity to manage the Audio Visual installation of this unique residence in Hunters Hill. As part of extensive renovations being carried out by the owner. Acknowledging that we’d need to add equal parts fair for design, function, Len Wallis Audio took on the challenging project to turn dreams into functional reality. As you can see from the photos, this residence exudes a special presence. Main entry is via a bespoke bronze front door that might look just as home on an ancient Aztec temple. Once inside you find yourself mesmerised by the gallery style entry hall which utilises Niles High Resolution Ceiling Speakers. Continuing on from the remarkable entrance into the delightful main living area, the client wanted the space to cater for a dual requirement of high quality HiFi playback and an immersive surround sound experience for movie viewing; while also incorporating a special love for B&W’s Limited Edition Maserati 805 Speakers. Enter the unlikely yet harmonious marriage of Krell and Marantz amplification. The Krell Foundation Integrated Amplifier offers superb characteristics when the system is in two channel HiFi mode to drive the 805s. While switching to Surround Sound Mode, the Krell is programmed to change to dedicated Power Amplification duties for the 805’s as they act as front speakers, while surround sound processing, 4K Video switching and powering of the centre, rear effect speakers and sub–woofer is managed by Marantz. Premium Oppo Blu-Ray Player, Sonos, Apple TV and Foxtel IQ3. Control and function is via an iPad which incorporated the RTI Control system for simple ease of use. In the outdoor entertaining area a wall mounted B&W Speakers are used, in the months ahead this will be complemented by a James Audio Satellite and Sub solution – all able to be controlled via the same RTI system on iPad. The upstairs area of the residence features a dedicated home theatre experience in a unique space with a special raked ceiling design. Having over seen many successful theatre builds meant this area required some careful planning to ensure the perfect solution to get the very best out of the space. As a result we chose a 125 inch Cinemascope screen (2 35:1) from specialist Stewart Flimscreens. This is due to the fact that Stewart screens are world renowned for their reference quality image performance and we’ve had consistently excellent results with their products. As there was to be viewing from multiple sources including Blu-Ray discs, Foxtel & Apple TVs and the pièce de résistance – a Kaleidescape Strato movie server – with a screen capable of multi format capability features motorised black side masking that allows the viewer to perfectly border the image for increased contrast and a more enjoyable 16:9 (1 78 :1 ) viewing drawing the viewers’ eye into the image resolving the unwanted letter box effect that often results from playback of different source materials. Projection is managed via a Sony 4k projector while a Focal Aria speaker solution (left, right and centre) with 2 x Sunfire subs made up the front of the room for sound, with rears side and back sound being managed by Focal’s exceptional in-wall Beryllium speakers. Marantz Pre and Power amplification drives sound to the speakers with the resultant performance well beyond what you would experience in a commercial cinema – as you can imagine, goose bumps are included! The Master Bedroom continues the integrated entertainment theme with a 55 inch Panasonic TV with a full surround sound system featuring two front and two rear Niles Fully Directional High Definition Ceiling speakers, a James Audio Centre Speaker and a Sunfire subwoofer – just the thing for watching a movies in bed on those cold wintery days. The integration doesn’t stop there either with a single stereo Sonance extreme ceiling speaker powered via Sonos in the Master Bathroom – all able to be controlled by RTI Control system on iPad. The Kaleidescape? is truly unique source solution. It allows the user to download content from the online store in full 4K and HDR quality (exactly as you would experience with purchased 4K disc – no quality compression or frame loss whatsoever) but the real genius of the system is once you build up the library, it allows for storage of content on site with a superb interface, categorisation and instant access. No discs, no buffering and no fuss. 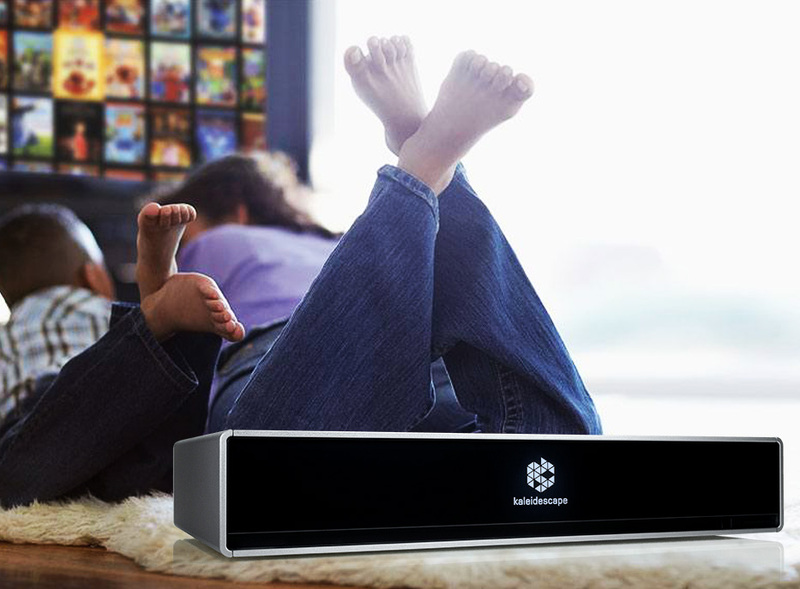 Bring the immersive excitement of true 4K cinematic images into every living space. Available also in a contemporary premium white finish, the VPL-VW550ES Home Cinema projector makes a stylish addition to any interior. Advanced SXRD panel technology delivers incredible 4K images with four times the resolution of Full HD. You'll experience rich colours, impressive 1800 lumens brightness and huge 350,000:1 dynamic contrast ratio - for vibrant, detail-packed pictures with native 4K resolution that always look clear and sharp, even in daylit living rooms. You're future-proofed with compatibility for the latest 4K standards, as well as compatibility with HDR (High Dynamic Range) - so you'll get the very best out of today's content, and tomorrow's. Colour can be easily calibrated to the original factory condition without fuss. 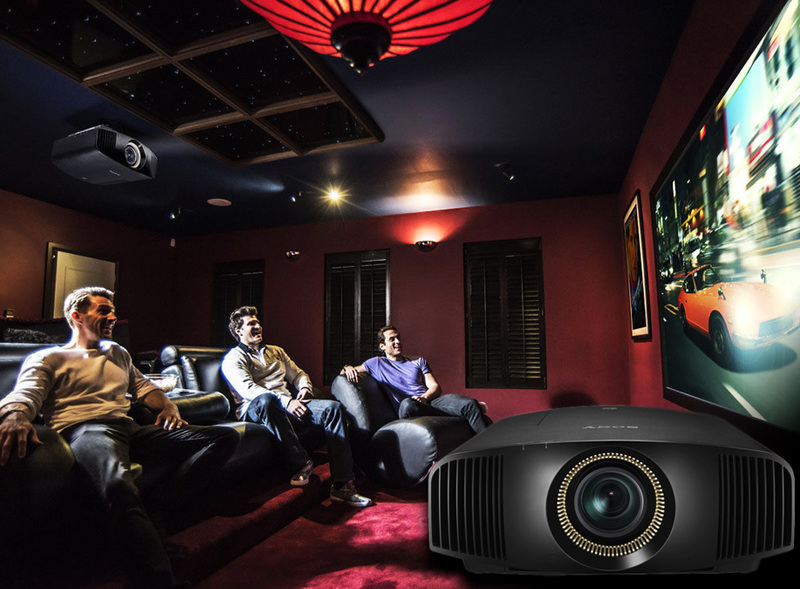 The compact VPL-VW550ES fits neatly into any home theatre or living room, with quiet fan noise that won't disturb the show, wide zoom/lens shift range and a front-facing exhaust port for extra installation flexibility. The projector's long-lasting lamp is rated for an extra-generous 6,000 hours* operation (in Low Mode), for fewer interruptions and reduced maintenance costs. 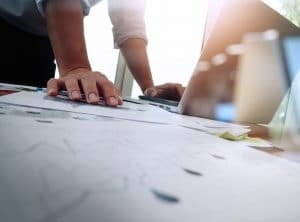 When thinking of all this technology, streaming, Wi-Fi for RTI control purposes and everyday living, it's important to consider the network infrastructure. 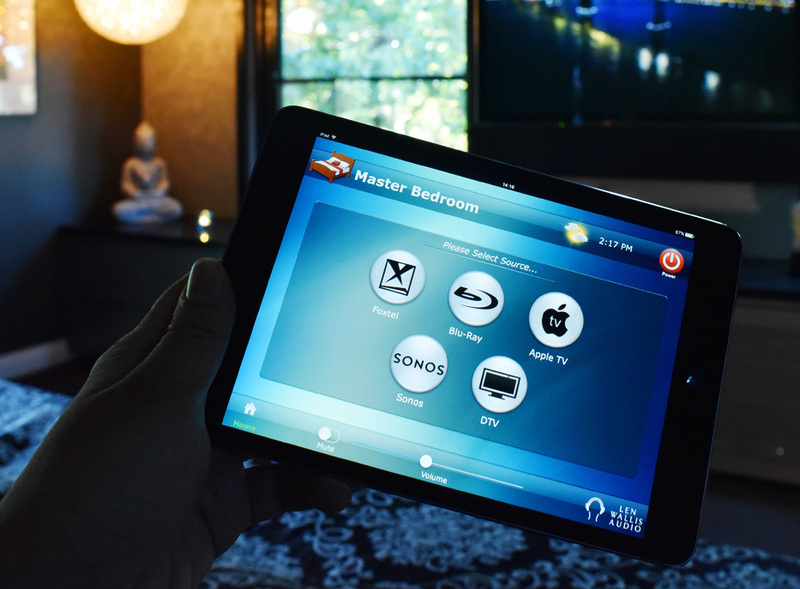 The system includes a commercial grade Ruckus Wi-Fi solution with a dedicated outdoor WAP to ensure rock solid connectivity throughout the residence. In addition, managed network switches from Luxul are deployed throughout. Being able to guarantee a robust and effective IT infrastructure ensures the user experience that is consistent and stable. The client has been thrilled with the results and was happy to share his thoughts on the experience. “I knew what I wanted in terms of a media room and a quality sound system for my property, so I approached Len Wallis Audio based on their reputation.